"University of the Highest Education International." It's a supernatural university where students learn through their experiences. They are the class. They are the subject. Everything is focused around the individuals encounters. 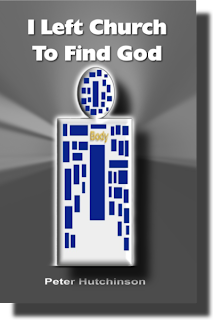 So wherever a person is in the world, they take part in their own supernatural education where they are at. At first it was just a chapter in my book but then I made it into a reality and created the university website. U HE I. 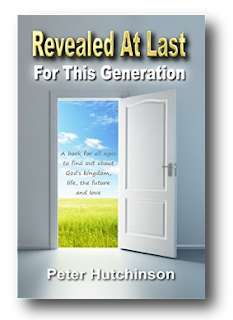 Step inside and read what Peter Hutchinson found out about life, God's kingdom, our existence, the future and love. This is the book with the new cover. The book with the original cover is still available. Well that blows the saying “don’t judge a book by the cover” out the window. The two red parts represent curtains. They are being pulled apart to reveal the golden city. The golden city what I am revealing is inside you. When you put it all together, the red curtains are opening to reveal your golden kingdom that is inside you so that peace can come to you. 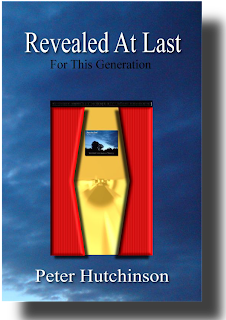 You can get your copy of Revealed At Last WITH THE NEW COVER at the link below.